BEIJING (Reuters) - China helped bring about a dramatic easing of tensions between the United States and North Korea, according state media outlets, adding evidence that the government sees itself as a central player in any agreement despite largely sitting on the sidelines so far. The commentary seeks to cast the planned talks between the two Koreas - and a meeting between U.S. President Donald Trump and North Korean leader Kim Jong Un - as the result of Chinese efforts. The Communist Party's official People's Daily cited China's plan for North Korea to suspend nuclear and missile tests, and South Korea and the United States to suspend military drills as leading to this moment. "It should be understood that these easing of tension signals are actually an effect brought about by the 'dual suspension'" proposal, the paper said on Saturday. The paper cited Trump as telling Chinese President Xi Jinping in a telephone call on Friday that China's position that the United States should talk to North Korea was the correct one. "The U.S. side profusely thanked and put high importance on China's important role in the Korean peninsula issue," the paper said in its regular "Zhong Sheng," or "voice of China," column, which presents the paper's position on foreign policy. China has been front and centre in diplomatic efforts over North Korea, long pushing for a resumption of talks to get North Korea to give up its nuclear weapons. A decade ago, it hosted numerous rounds of negotiations that fizzled out. It has also been deeply involved in diplomatic efforts at the United Nations. But its relations with North Korea have nosedived. There are few high-level contacts between the two countries at present, and North Korea's youthful leader, Kim, widely derided on Chinese social media as "Fatty Kim," has not visited China since taking power in 2011. China played little obvious role in the thaw between the two Koreas at last month's Winter Olympics, which saw a high-level North Korean delegation attend and set the groundwork for an inter-Korean summit in April. Han Zheng, Shanghai's former Communist Party boss, led China's delegation at the opening ceremony. Though he is the party's seventh-ranked leader, with a position on the party's elite Standing Committee, which runs China, he has little diplomatic experience. China said he met the North Koreans, but gave no details on what was said. Beijing-based diplomats say contacts between China and North Korea have been sporadic, limited to party-to-party exchanges, and have yielded nothing. CHINA'S ROLE "CAN'T BE AVOIDED"
Beijing has key strategic interests when it comes to North Korea, and has long feared that a collapse of its isolated neighbour could push waves of refugees into northeastern China, or that nuclear war on the Korean peninsula could contaminate swathes of the country. The emotional ties are deep too. The two countries fought side by side in the 1950-53 Korean War - a son of Mao Zedong's died in the conflict - and China has long viewed North Korea as a useful buffer between it and U.S. forces in South Korea. So although peace is Beijing's earnest desire, it needs to ensure China's interests are properly accounted for. Zheng Jiyong, director of the Centre for Korean Studies at Shanghai's Fudan University, said in an interview posted on the WeChat account of the overseas edition of the People's Daily that China must be involved in U.S.-North Korea talks. "China's role can't be avoided, and there's no way for it to be kept away," Zheng said. If the United States and North Korea really want results, China is the only country that can play the role of guarantor, he added. "No matter the direction of North Korea-U.S. talks, be it war or peace, if there is no help or obstruction from China then it's impossible for there to be real stability on the peninsula," he said. State media have sought to downplay any implication that China is being marginalised, and reinforce the point that China has a vital part to play. "China will advocate the international security mechanism and help prevent North Korea from being deceived or squeezed by the U.S. once it begins to denuclearise," widely read tabloid the Global Times wrote in an editorial. "China will welcome the dialogue between the U.S. and North Korea, and resolutely support North Korea securing its due interests in the process of denuclearisation. Through these efforts, China's interests will not be pushed aside," it said. Exactly what China wants to do is unclear at this point, though it might want to host the Trump-Kim get-together. 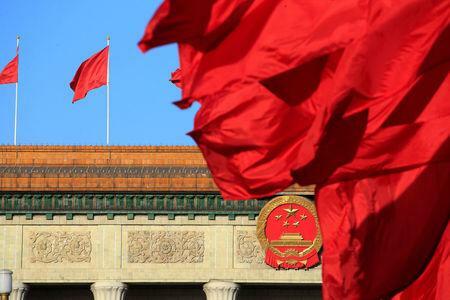 China's Foreign Ministry said on Friday the country would continue to play a "positive role" in pushing for a political resolution and for lasting peace and stability. But it offered no other details and avoided directly answering a question on whether it could host the Trump-Kim talks. "China will feel very good in the sense that basically North Korea has offered something that looks like an endorsement of the dual suspension strategy," said Zhao Tong, a North Korea expert at the Carnegie-Tsinghua Center in Beijing. But "in terms of the direct talks and negotiations, China is no longer the most relevant player," he said. "And given the progress is taking place at such a rapid pace there is increasing concern in China that China's being kept out of the whole thing and that China's losing control, even though again China is, in general, supportive of this progress."